Western Montana parcel for sale located in St. Regis, Montana. This off-the-grid 40 acre property has a seasonal Tamarack Creek running through it. Property borders USFS lands on three sides and Johnson Ranch on the other which makes for tons of privacy! 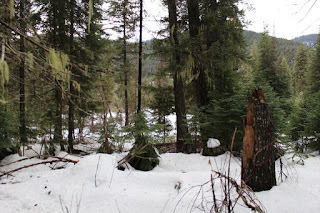 Land is mostly level meadow land with some varied terrain, abundant with wildlife and views. This property is perfect for hunting or even a year round residence! Near the Clark Fork River, Hot Springs, Baldy Mountain and, Thompson Falls. Contact Judy Stang for your private showing today at 406-822-2316. Priced at $225,000.